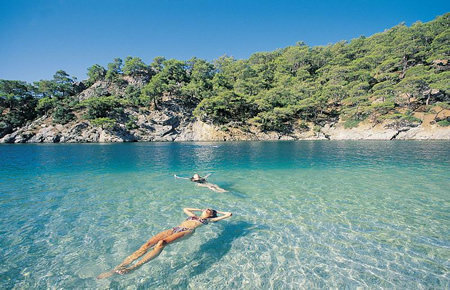 Fethiye and Gocek Islands, once the haven for Pirates, now entertain boat-trip-lovers from all around the world. With its legendary 12 Islands, numerous bays and beaches protected from winds and high seas, Fethiye Bay is a perfect setting for an unforgettable boat trip. Our comfortable double decker boat offers seats in the shade and beds in the sun, lavatories, kitchen and a well-stocked bar. Come and enjoy a delightful boat trip with plenty of swimming, snorkelling and sunbathing. 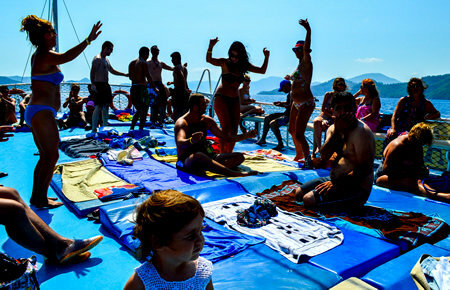 Take in the views as we sail past the panoramic views of the Fethiye and Gocek coastline. 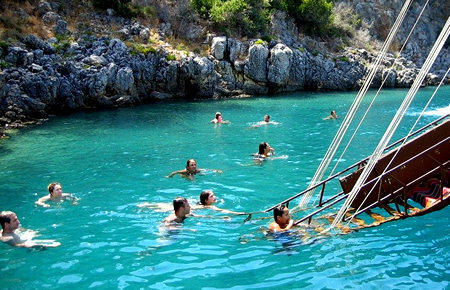 Swim in the crystal clear waters of Cleopatra's Bath, Flat Island, Tersane Island and Katranci Beach to name a few.